The day started at the Spring Studio. For the second week in a row, I tried ignoring the model and instead drew the room and the other people. The hand you can see on the right was Jim Welsh sketching next to me. In the afternoon we went to the Farmer's Market at Union Square. The view was huge crowds of people in constant motion. I usually enjoy the challenge of trying to capture that kind of thing, but this Saturday I guess I was in the mood for slower things. 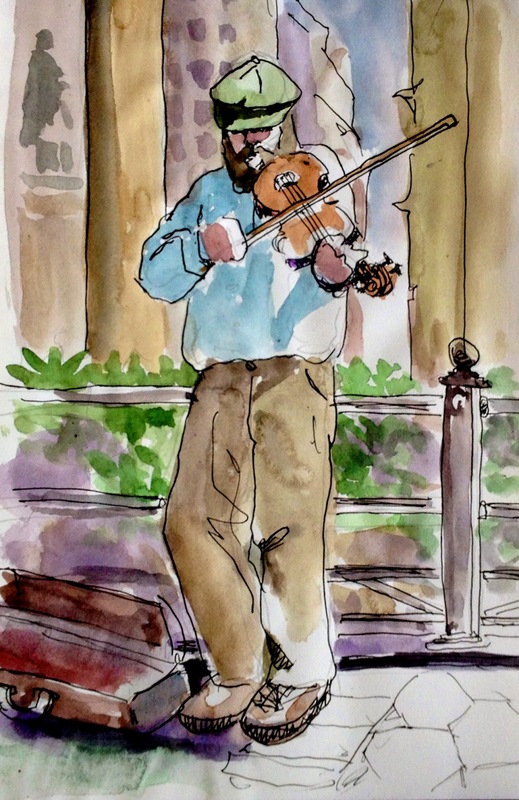 We found a guy playing violin in the sunshine that I enjoyed sketching.